Musical legacies are fickle beasts. For the privileged few, early bravado can lead to a lifetime of open doors and opportunities; for most, thorough, their own massive shoes are rarely filled again, leaving a life of painfully striving either to attain the same heights, or failing to convince the world that there’s more to give. For those at the pinnacle, the ones whose exploits drew a definite line with which others would measure themselves, this is arguably even more acute: audiences are liable to bay for more brilliance, and are vocally deflated when their lofty expectations are not met (take, for example, the expectation of larger-than-myth Bob Dylan, whose audience is rudimentary brought down to earth every time his never-ending tour juggernaut rolls through town). Known for catchy tunes, clever lyrics, playfully sung narratives and an outstanding energy, The Wombats played to a sold out Tivoli in Brisbane on Thursday night, giving their all to make it a night to remember for the fans attending. So popular were tickets to the trio’s show that Thursday night’s gig was their second Brisbane performance, organised for those who had missed out on tickets for the original Tuesday night show. Being all ages, the evening started early, with doors opening at six-thirty and the band taking the stage just after eight. Populated mainly by teens delighted to be able to see the marsupial-inspired band in the flesh, the crowd got busy chanting for The Wombats early on. 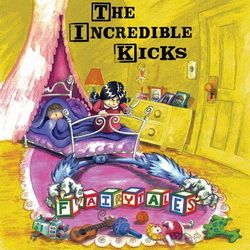 On Thursday the 26th of May The Incredible Kicks will unleash their pop harmonies upon us, with the release of their debut EP Fairytales. Blending the best parts of Prog Rock and Pop, The Incredible Kicks have crafted an EP packed full of tasty treats. A fusion of styles and sounds, at times epic at times intimate, Fairytales is a wicked and wondrous musical journey down the rabbit hole. From love songs to nightmares and abstract tales come five tracks, laced with pop sensibility and roguish charm. 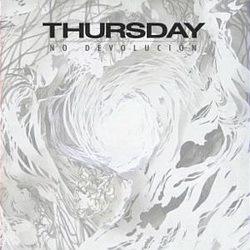 An exciting, original sound. Through the thrill and longing of forthcoming single, Not On Me, to the delectable staccato/quintuplets of the title track, Fairytale, The Incredible Kicks weave a elaborate web, with luminous layered harmonies, while the bass and beats engage in a dark dance of kicking rock. It was the first week of May way back in 1996 which saw a triple header called the “Cool Naughty Pain” tour featuring Coolio and Naughty by Nature hit our fine shores. 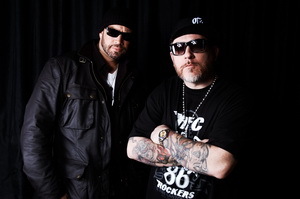 Almost fifteen years on to the exact day, the other band on that bill, reformed American Hip Hop legends House of Pain finally return Down Under to let loose some of their fine malt lyrics on the Brisbanites who have made the trek to the Hi-Fi on this Labour Day public holiday evening. As the night gets off to an early start, front man Everlast armed with a guitar and a three piece backing band consisting of keyboards, drums and bass take the stage and open proceedings with an instrumental type jam reminiscent of something that could pass off as being written by Ray Manzarek and Robbie Krieger of The Doors. Without further ado, it’s now time for the real deal. As the first notes of “Danny Boy, Danny Boy” ring out, a greeting of “make some noise motherfuckers” is heard and fellow House of Painer, Danny Boy himself joins the rest of his crew to take the Brisbane crowd on a journey back in time for some old school classic Hip Hop.